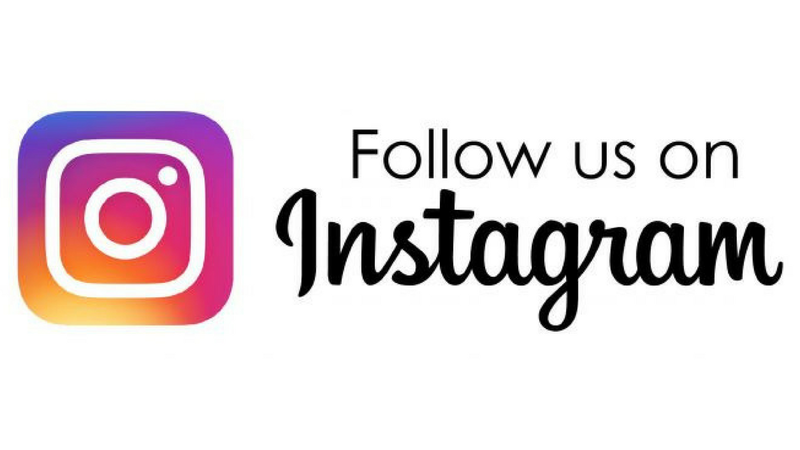 If you’re not already following us on Instagram, maybe it’s time to start. Each day, we bring a touch of inspiration to event organisers, wedding planners, future Brides and Grooms and industry colleagues. 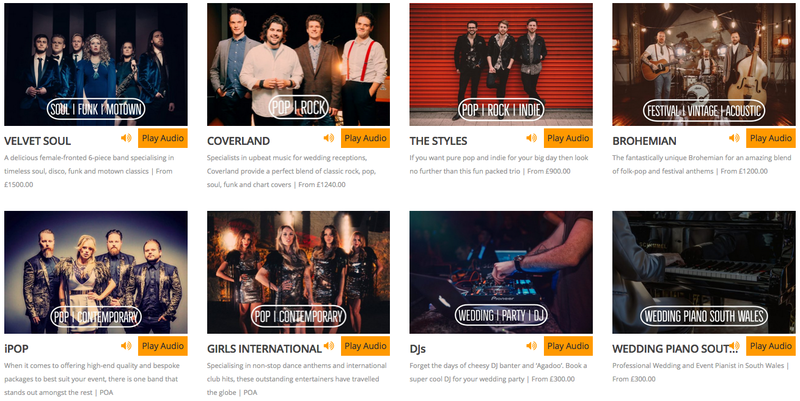 At Music HQ, we understand that your wedding or event is one of the most important things you will ever organise. 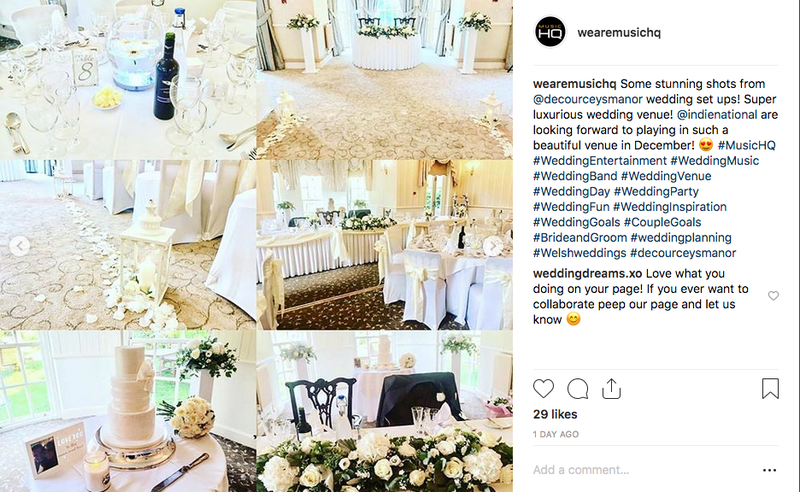 We work closely with all of our clients to find the most suitable live entertainment so we are always posting about the amazing acts we have for hire. Your wedding theme and colour choices will set the tone for your whole day. We share all the unique and inspiring stuff we come across which may help bring your wedding ideas to life. Our sensational live acts play all kinds of events all across the globe for some of the biggest corporate companies on the planet. We LOVE posting about these events! We are always happy to post about the amazing businesses that we have the absolute pleasure of working alongside in our industry. We will never post about anything or anyone we haven’t personally experienced. Our amazing live acts often post from their live performances and we always make a point of sharing these. Expect to see packed dancefloors and quirky contributions. Perhaps you could go one further and follow the bands too! If you find yourself on a dancefloor at a wedding or corporate event and one of our acts happens to be raising the roof, post about it by using the hashtag #MusicHQ and we will share the love. 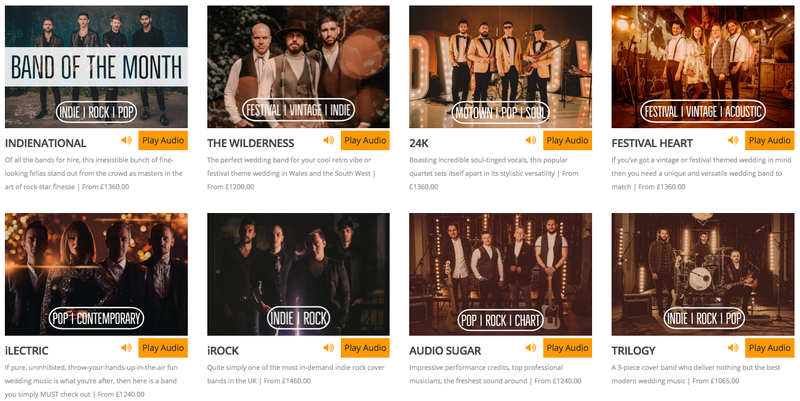 As well as shouting from the rooftops about our incredible live bands, as small, independent and fast-growing business, we like to share our experience of our journey in the business world.